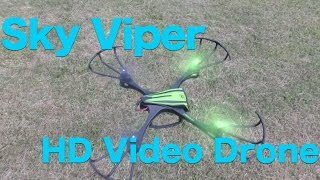 The Sky Viper v950HD records 20 minutes of 720p video on the included 4GB microSD card, and the drone comes with an extra set of rotors. There is a push button for barrel roll stunts and a one-touch panoramic-video capture button for 360 degree capture. The learning curve is relatively easy to master. 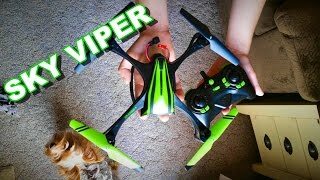 At 720p, the drone's video isn't particularly high quality. The spin trim doesn't always correct completely. When kids look through the holiday wish book this year, they’re looking for drones. 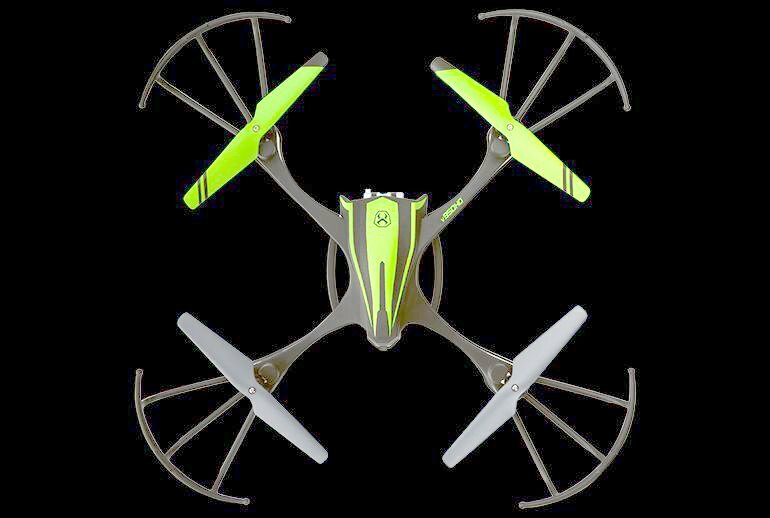 The Skyrocket Sky Viper videodrone HD is a moderately priced drone for kids 12 years old and up. There’s a sensitivity control so you can start slow and go from there. 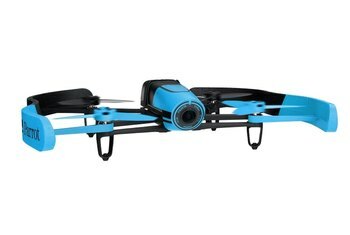 With a 720p HD video camera and 200 foot range, this toy isn’t for serious work but for serious fun. 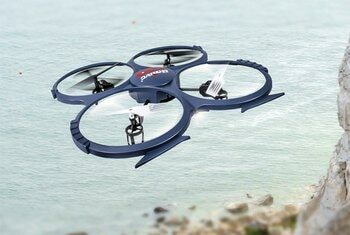 The camera is removable which gives a slightly longer flying time and frees the drone to do stunts. Video and stills are stored on an included 4GB microSD card, and the camera supports up to a 32GB card. When recording video, the controller continually beeps to tell you it’s recording--a feature some users welcome and some find irritating. 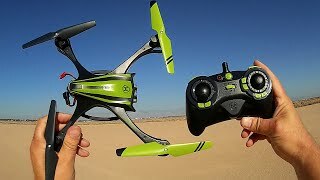 This toy drone looks really cool and has intuitive to controls to make flying it pretty easy, though there might be a learning curve. 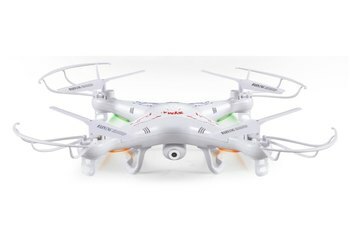 Kids will like making the Video Drone perform stunts, and most importantly, take action-packed photos and videos at the same time. For the price and amount of fun i have had so far....it is worth it!!! The one up side, however, is that the battery does take a significantly shorter amount of time to charge than other batteries; to completely charge one battery it takes around 30 minutes or so. 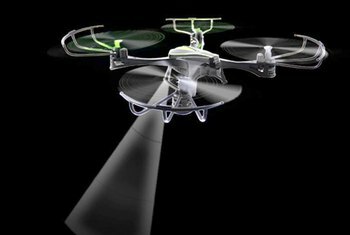 Despite the fact that it’s a lightweight and a sensitive little device, it appears to withstand some really hard hits without getting more than a couple of scratches and curved propellers. 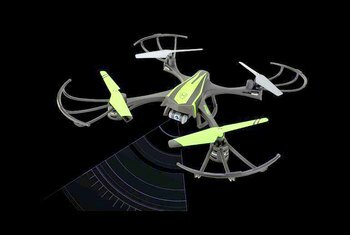 With an adjustable camera system, you can expect this drone to be more flexible in terms of camera view control. 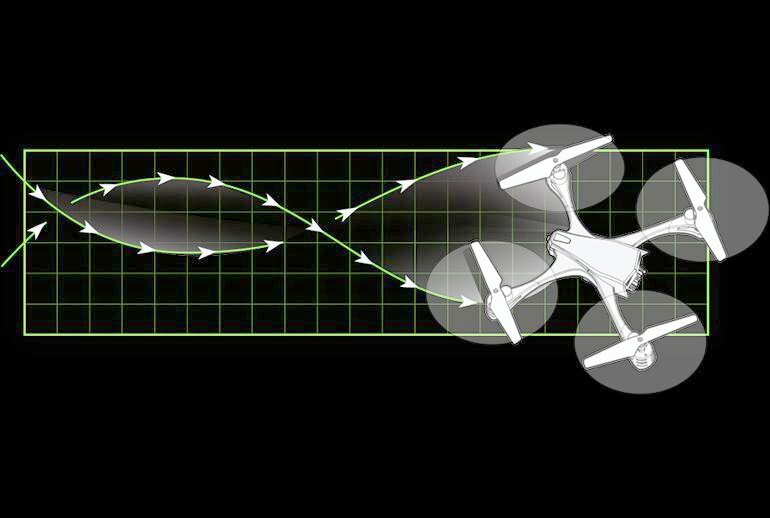 In fact, you get a bird’s view of the scene of operation with a 360-degree panoramic view functionality.